When a small firm names a new partner, that’s big news, and it means there’s a reason for that promotion. So is the case of Derek Lindenschmidt, the newest partner of 11-person firm Higgins Hopkins McLain & Roswell. He’s a younger member of this crowd, but he’s quickly earning a reputation as a top lawyer with expertise in the construction-defects defense realm. Congratulations, Derek! I have recently spent the summer joined at the hip with Derek, arbitrating two separate multi-week, multi-party construction defect claims. After watching Derek’s closing argument yesterday in the second of these arbitrations, I can only say that his reputation is well deserved. For anyone who has not met or worked with Derek, I offer this brief biography: Derek started as an associate of the firm in 2006 when he relocated to Colorado from Charleston, South Carolina where he was an associate with the Qualey & Beck Law Firm. 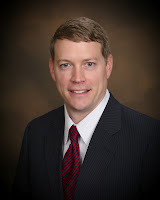 During his time in South Carolina, Derek represented general contractors, developers, subcontractors and homeowners in various types of construction-related matters, including residential construction defect disputes, contract review and drafting, and defense of mechanics liens. During his time with HHMR, Derek’s practice has focused on representation of construction professionals in a wide variety of both litigated and non-litigated matters, including the defense of developers and general contractors in complex construction defect lawsuits. He has defended against claims in all phases of development, from initial design through post-construction, and has successfully recovered from subcontractors in subrogation. He has also successfully resolved many claims through alternative dispute resolution. Sheri Roswell and I were happy to announce, in January 2012, that Derek had been promoted to partner. If you would like to get in touch with For more information regarding Higgins, Hopkins, McLain & Roswell, please visit our website at www.hhmrlaw.com. If you are interested in learning more about construction litigation in Colorado, including the impact of recent changes in the law, please visit our blog at www.ColoradoConstructionLitigation.com.